Red Trident provides customized RF engineering solutions as well as in depth RF analysis on existing RF infrastructure. We are FCC licensed and experienced in both signal generation and signal transmission. At Red Trident Inc, we believe in hands-on RF integration and debugging of RF circuitry using commercial lab test equipment such as spectrum analyzers, signal simulators, network analyzers, etc. By using these proven and repeatable processes we not only can find problems but also develop long term solutions. Red Trident’s employees are truly experts in the field of radio frequency technology. 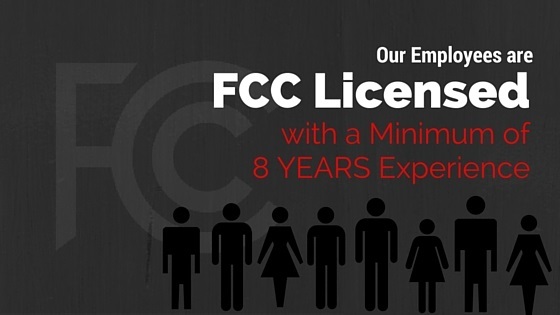 We employ Federal Communication Commission (FCC) licensed individuals who have a minimum of 8 years experience providing RF engineering solutions. And Many Other Upper Level RF Engineering Services! We come up with an engineered RF solution that meets your goal while being as secure as possible given the variables associated with the engineered solution. We are ready for your long or short haul RF needs. Please Contact Us today and we can start developing the right solution for your situation.